LAS VEGAS, Nevada (February 6, 2019) – An estimated field of 670 entries will compete for nearly $2.9 million in cash and awards – and horse racing’s official title of “Horseplayer of the Year” – at this weekend’s 20th NTRA National Horseplayers Championship (NHC) Presented by Racetrack Television Network, STATS Race Lens™ and Treasure Island Las Vegas. Both the field size and the purse are the second-largest in NHC history. The three-day tournament, Friday to Sunday at Treasure Island, will offer a first-place prize of $800,000. The NHC field will be reduced to the top 10 percent of players after the first two days. The highest 10 cumulative scores after the Semifinal round will fill out the Final Table. Bankrolls amassed during Day 1, Day 2 and the Semifinal round will roll over to the Final Table, with the 10 finalists settling the NHC score in seven “mandatory” assigned races. Players who do not make the Semifinal cut will still compete on Day 3, in a separate Consolation tournament. A full scoreboard will be updated regularly at https://www.ntra.com/nhc, where fans and players can also find each day’s contest race menu and news updates. At the Races with Steve Byk will broadcast live on SiriusXM satellite radio (Sirius 219; XM 201) from Treasure Island and online at www.stevebyk.com daily, Thursday to Monday, with NHC coverage slated for 2-7:30p ET (11 a.m.-4:30 p.m. PT). Additional news and exclusive content will be shared on Twitter via the official NTRA account, @NTRA. 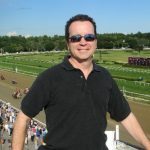 Defending NHC champion Chris Littlemore – who last month was honored with an Eclipse Award as “Horseplayer of the Year”– heads this year’s field, which is comprised of 669 entries (pending the outcome of Thursday’s Last Chance Contest at the Treasure Island). There are 118 rookies, representing 23 percent of the field. There are 138 dual qualifiers going into Thursday’s Last Chance Contest at the Treasure Island. As the 2018 NHC winner, Littlemore of Whitby, Ontario, Canada, near Toronto, received an automatic berth into this year’s tournament to defend the title he won last February when he bested other entries. Littlemore amassed a winning score of $348.30 over the three-day tournament from 53 mythical $2 Win and Place bets – 18 each on Friday and Saturday, 10 in Sunday morning’s Semifinal round and seven in the dramatic Final Table contest exclusive to the overall top 10. He will seek to become the first-ever two-time winner of the NHC, as will six other past winners that have qualified. The other qualifying champions are: Ray Arsenault (2017), Paul Matties, Jr. (2016), Jim Benes (2013),Michael Beychok (2012), Richard Goodall (2008), and Stanley Bavlish (2007). As the winner of the 2018 NHC Tour, David Gutfreund won $100,000 and an NHC berth. He also is eligible for a record $6 million in bonuses if he goes on to win at the 2019 NHC finals. Chuck Grubbs, the winner of the Breeders’ Cup Betting Challenge (BCBC), is eligible for a $3 million BCBC/NHC Bonus. First prize at the NHC is $800,000, meaning that successful completion of the BCBC-NHC double would be worth $3.8 million. In its 20th year, the NTRA National Horseplayers Championship is the most important tournament of the year for horseplayers and is the culmination of a year-long series of NTRA-sanctioned local tournaments. Aqueduct, Arlington Park, BataviaBets.com, Belmont Park, Breeders’ Cup, Canterbury Park, Capital OTB, Century Bets, Del Mar Thoroughbred Club, Fair Grounds, Florida HBPA, Gulfstream Park, Hawthorne Race Course, Hollywood Casino at Penn National, Horseplayers.com, HorseTourneys.com, Indiana Grand, Keeneland, Laurel Park, Lone Star Park, Los Alamitos Race Course, Meadowlands, Mohegan Sun, Monmouth Park, National Thoroughbred Racing Association, New Zealand Metropolitan Trotting Club, Santa Anita Park, Saratoga Race Course, Tampa Bay Downs, The BIG One, Treasure Island, TVG, Woodbine Entertainment Group and Xpressbet.com. The tournament format for the NHC is meant to be the best possible test of overall handicapping ability. Players attempt to earn the highest possible bankroll based on mythical $2 Win-and-Place wagers. Assigned “mandatory” races – eight per day on Day 1 and Day 2 and seven at the Final Table – will be announced at least 36 hours prior to each contest day (Wednesday evening for Friday, Thursday evening for Saturday, Friday evening for Sunday) on Twitter (@NTRA) and NTRA.com. The remaining 10 races on Day 1 and Day 2 and all 10 plays in the Semifinal round will be optional wagers on races at one of eight designated NHC tournament tracks: Aqueduct, Fair Grounds, Golden Gate Fields, Gulfstream Park, Laurel Park, Oaklawn Park, Santa Anita Park and Tampa Bay Downs. Treasure Island will play host to the NHC for the eighth straight year. On Saturday, the NTRA also will host an invitation-only online tournament, the 5th Annual Tito’s $5,000 NHC Charity Challenge. A field of approximately 40 media and racing personalities will compete to have $5,000 donated in their name to the Permanently Disabled Jockeys Fund. 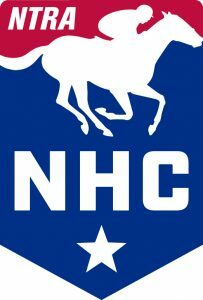 In its 20th year, the NHC is the most important tournament of the year for horseplayers and is the culmination of a year-long series of NTRA-sanctioned local tournaments conducted by racetracks, casino race books, off-track betting facilities and horse racing and handicapping websites, each of which sends its top qualifiers to the national finals. There are no bye-ins to the NHC. Each year, the NHC winner joins other human and equine champions as an honoree at the Eclipse Awards. For more information on the NHC, visitNTRA.com/nhc. The NTRA, based in Lexington, Ky., is a broad-based coalition of more than 100 horse racing interests and thousands of individual stakeholders consisting of horseplayers, racetrack operators, owners, breeders, trainers and affiliated horse racing associations, charged with increasing the popularity, welfare and integrity of Thoroughbred racing through consensus-based leadership, legislative advocacy, safety and integrity initiatives, fan engagement and corporate partner development. The NTRA owns and manages the NTRA Safety and Integrity Alliance; NTRA.com; the Eclipse Awards; the National Horseplayers Championship; NTRA Advantage, a corporate partner sales and sponsorship program; and Horse PAC®, a federal political action committee. NTRA press releases appear on NTRA.com, Twitter (@ntra) and Facebook (facebook.com/1NTRA). Kevin McFarland, from Solana Beach, CA, vaulted to first place on the strength of two daily double payouts on his way to earning $20,000 in prizes in the Pacific Classic Betting Challenge. David Snyder from Mission Viejo, CA and Tyler Hoffman from San Gabriel, CA finished second and third to round out the top three. David and Tyler both win entries in the $2.5 million National Horseplayers Championship as well as cash prizes of $7,000 and $3,500 respectively. McFarland scored with the early double in races one and two to build up the Challenge starting $300 bankroll and vaulted to the lead with a $100 double in races 7 and 8, a $4,700 payout. From there he held on to ride out the fantastic 11 race card which set a one-day handle record at Del Mar. Winnings include $10,000 cash and a $10,000 entry in the 2018 Breeders’ Cup Betting Challenge. Ed Abel of Des Moines, IA and Walt Tendler of San Diego finished 4th and 5th earning entries into the Del Mar $4,500 Fall Challenge November 10 & 11. Jeffrey Harryman of Baltimore finished with a bankroll balance of $2,214.50 to capture the fall session of the Maryland Jockey Club Champions Handicapping Tournament held on Maryland Pride Day, Saturday, Aug. 18 at Laurel Park. Lam earned $2,790 in prize money and ended with a comfortable margin over runner-up Sean Nolan of Alexandria, Va., who closed the day with a bankroll balance of $1,786.40 and took home $1,860 in prize money. The tournament was open to players for $300, which covered a $100 entry fee and $200 bankroll. In addition to prize money, the top four finishers qualified for automatic berths to the National Handicapping Championship (NHC), Breeders’ Cup Betting Challenge (BCBC) or The BIG ONE. For the second straight year, the tournament was held in Laurel’s refurbished second-floor clubhouse sports bar. There were no mandatory races during the contest but players were required to make a $20 minimum wager on races from Laurel, Gulfstream Park, Saratoga Race Course, Monmouth Park and Woodbine. Given his choice of four tournament berths, Harryman selected the BCBC to be held Nov. 2-3 at Churchill Downs, while Nolan selected a berth in the BIG ONE Sept. 22-23 at Laurel Park. Third place went to John Kousouris of Towson, Md., who finished with a balance of $1,404 and earned $930 in prize money, while Gary Wright of Staten Island, N.Y. was fourth with a balance of $1,381 and earned $558. Both players also earned berths in the NHC, to be held in February 2019 in Las Vegas. Rounding out the top 10 finishers were Kevin Sweeny with a tournament balance of $1,253, Anthony Laurino ($1,110), Steve Anderson ($1,105), Pete Manzo ($1,027.50), John Verdin ($703) and Bob Bandzwolek ($700.90). Each player took home $558 in prize money. The spring session of the MJC Champions Handicapping Tournament held March 3 at Laurel was won by Brian Conley of Columbia, Md., who chose a berth in the BCBC. Other winners from the spring tournament were Coleen Curley (NHC), Carol Johnson (BIG ONE) and Shawn Turner (NHC). One horse made all the difference in the outcome of the third annual National Horseplayers Qualifier (NHC) at Indiana Grand Racing & Casino Saturday, Aug. 18. Given Favorite, ridden by Angel Moreno and trained by Tony Granitz, surprised a maiden claiming field in the eighth race of the night to pay $72.60. Several people in mid-pack of the 125 entry contest selected Given Favorite and catapulted into the lead positions. Stephanie Davis of Brooklyn, N.Y. was the biggest winner off that longshot to take the top prize for the night. Steve Arrison of Point Pleasant Beach, N.J. finished second while Dan Weisenburger of Stow, Ohio came in third. Mike Gillum of Indianapolis finished fourth. Davis had two entries in the contest. She completed the 12-race required format with total accumulated earnings of $132.00. Arrison completed the event with a tally of $129.60 over Weisenburger, who accumulated earnings of $128.00. Gillum had a total of $113.50. The NHC Qualifier at Indiana Grand was played over 22 races from three racetracks, which included Saratoga, Del Mar and Indiana Grand. All players had to utilize five of the eight Thoroughbred races from Indiana Grand to meet the requirements. All players began with a mythical bankroll of $48 and placed $2 win and place wagers on one horse in 12 of the races during the five-hour contest. The NHC Qualifier had a cap of 125 entries and reached capacity. Several of the players had two entries. There were 80 total individuals in the contest from all across the United States. Players came into Indiana Grand from coast to coast, including individuals from Washington State, Florida, New York, Maryland, Texas, Wisconsin and all points in between. The top four players will advance to the NHC Final slated for Las Vegas February 8 – 10, 2019. 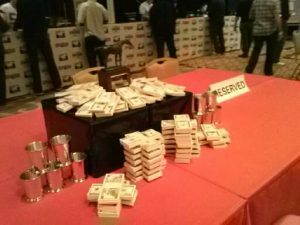 The players will receive hotel, airfare and entry fees for their trip to the final, which included over 600 entries last year vying for prize money in excess of $2 million. The top four also received a gift certificate to Stats Race Lens courtesy of Equibase. The computer program, which was on display during the contest with demonstrations provided by Tom Kudla, offers in-depth handicapping assistance with race replays and additional statistics not found in general racing publications. The value of the gift certificate for the quarterly subscription is $299. Dennis Montoro, 32, from New York, went all-in in the last race with a $7,000 win bet on #2, 5-1 Raven Creek, to finish with $42,000. Montoro qualified to the Del Mar Challenge from a $400 feeder contest on HorseTourneys.com essentially turning a $400 investment into more than $135,000 in prizes. Gary West from Rancho Santa Fe, CA and Florin Sima from Burbank, CA both cashed in the last race to finish second and third to round out the top three. Montoro, an analytics player with years of experience in online contests was playing his very first “live money” contest. Prizes won include $75,000 cash, $10,000 entry in the 2018 Breeders’ Cup Betting Challenge (BCBC) and entry in the $2.5 million National Horseplayers Championship (NHC). Montoro is also eligible for a $1 million bonus if he wins the 2018 Breeders’ Cup Betting Challenge at Churchill Downs. Players started with a $6,000 bankroll in the two day Challenge. The top eight finishers receive BCBC entries and the top ten receive entries in the $2.5 million National Horseplayers Championship or the Del Mar $4,500 Fall Challenge November 10 & 11.